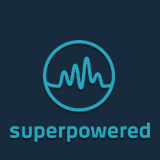 Can I do a power spectrum through superpowered sdk? Does it make sense to apply a filter before I am in the frequency domain? I want to find the dominant frequency of the signal and to print it out as a number. How can I do this? I would like to build a simple but precise guitar tuner. Can this library be useful for creating simple and precise guitar tuner? I'm wondering if the SDK has built in pitch detection? Is it possible to detect offline sounds (not speech) like alarm or barking dogs with your SDK ? As of summer 2017, we do not offer such functionality. We offer a few building blocks for pitch detection though, such as polar FFT. Can I use the offline analyzer for real-time pitch detection?